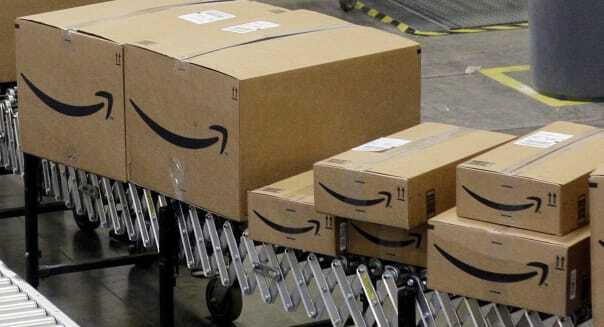 Just when it seemed as if shares of Amazon.com (AMZN) were starting to bounce back in 2014, one analyst has had enough. SunTrust Humphrey Robinson's Bob Peck is downgrading the stock of the country's leading online retailer to neutral. He's sticking to his $370 price target. It's just the stock's run in recent weeks -- above and beyond that target, just north of $380 at the time of the downgrade -- that finds him cooling on his call. The call makes sense in theory. Shares of Amazon had been on fire since it announced quarterly results in late January. It's up to the analyst to revisit the original thesis in that kind of scenario and either bump a price target higher or cool on the investment's upside. However, it's also important to put the recent rally into perspective. Yes, Amazon shares had risen 22 percent this year through Monday morning's Peck downgrade. However, the stock had also surrendered nearly a quarter of its value through 2014. The stock is actually trading lower now than it was at the start of last year. Is Amazon really a less valuable company now than it was back then? Peck's concerns were piqued with Amazon's recent financial filing, where it broke out the high cost of some of its capital leases. This is leading the analyst to adjust the way that he calculates the stock's free cash flow. Investors under the assumption that they're snapping up shares of the dot-com pioneer at roughly 40 times trailing free cash flow are actually looking at a multiple closer to 70 based on Peck's interpretation of the numbers. Amazon has rarely been cheap by most conventional measuring sticks. Now one analyst is suggesting that it's even more expensive. Peck makes a strong argument, but it's hard to bet against Amazon. CEO Jeff Bezos has never been one to run a company for today, investing heavily in ventures and initiatives that will pay off in the future. "Sometimes they don't pan out," one can say into a rare Amazon Fire Phone. However, when things do go well -- and for Amazon this happens often between the Kindle e-reader, the Amazon Web Services platform, and its shrewd acquisitions over the years -- it's hard not to get excited about the e-commerce bellwether's future. Retail tracker Channel Advisor estimates that Amazon's sales grew at a 23 percent clip in February from a year earlier, a slowdown from the 27 percent year-over-year growth that Channel Advisor pegged for Amazon in January. Let's not call this decelerating growth. After all, Amazon's sales grew at a mere 20 percent rate for all of 2014, falling to just 15 percent during the seasonally potent holiday quarter. This is still impressive for a retail giant that rang up nearly $89 billion in sales last year. Most chains, even online ones, would kill for that kind of growth. There's no shortage of naysayers. There were 7.2 million shares of Amazon sold short as of the end of last month. That's not a big number, but when you consider the stock's triple-digit price tag, we're talking about more than $2.6 billion in bearish wagers looking to profit if the stock moves lower. Betting against Amazon pays off from time to time. Last year's 22 percent decline was a good example. However, with Bezos at the forefront of cost-shaving automation, risk-taking innovation, and global expansion, the smart money can't be betting on a replay of 2012 this year. Amazon hasn't delivered back-to-back years of stock declines in its nearly two dozen years as a public company. It doesn't seem likely to start doing so in 2015. Motley Fool contributor Rick Munarriz has no position in any stocks mentioned. The Motley Fool recommends and owns shares of Amazon.com. Try any of our Foolish newsletter services free for 30 days. Want to make 2015 a winning investment year? Check out The Motley Fool's one great stock to buy for 2015 and beyond.